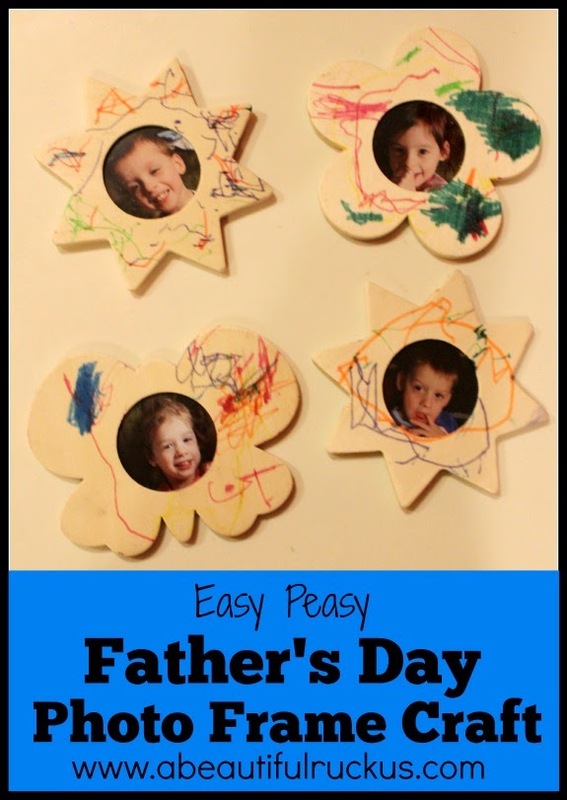 All these awesome bloggers have it together and post things like Father's Day crafts a couple of weeks in advance. I guess I might be cutting it close, but HEY! I remembered that Father's Day is coming up, right? 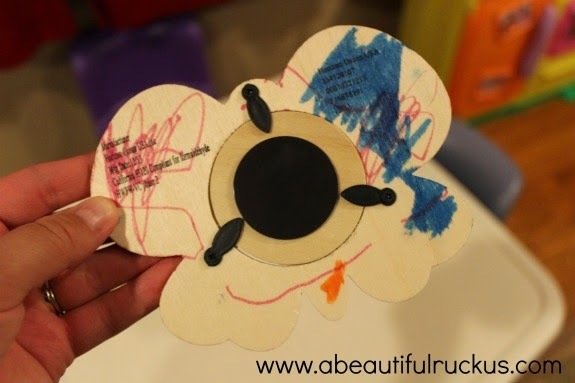 In case you are still trying to come up with something for your kids to give to their Daddy, this craft is easy, fast, and very, very inexpensive. 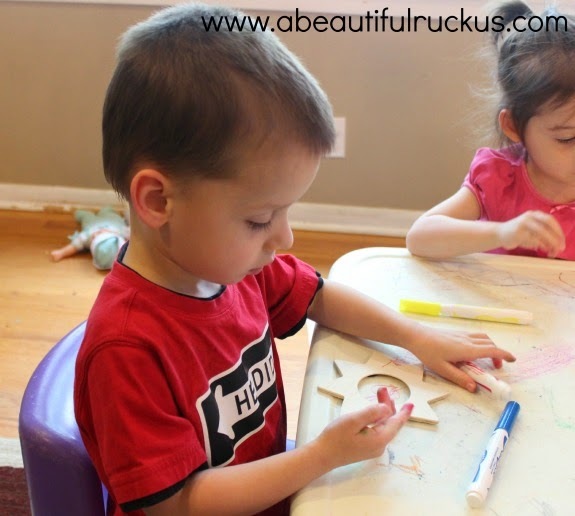 It's perfect for little kids who want to be independent but still need a little guidance. 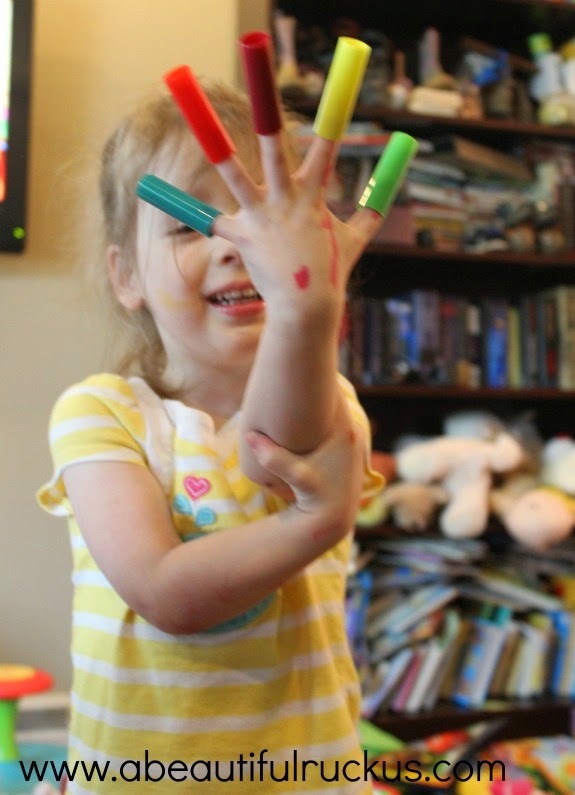 Those are WASHABLE markers, in case you were wondering. They are well worth the price vs. the regular markers. 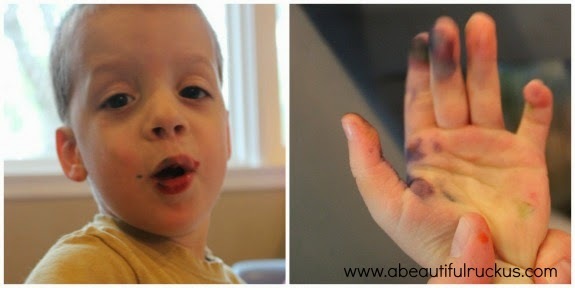 Don't worry, Elijah will demonstrate why we don't have any regular markers at the end of this post. The wooden magnetic photo frames were found in the Dollar Spot at Target. $4 for four frames. The Dollar Spot always has fun items in it. 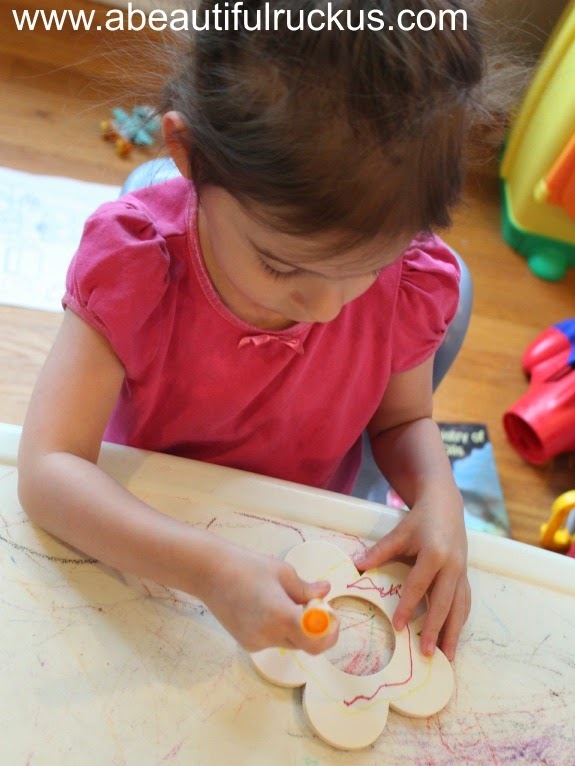 The kids work a lot with washable markers at school, but this was our first time using them at home. We usually stick with crayons, but I thought we'd branch out for this craft. 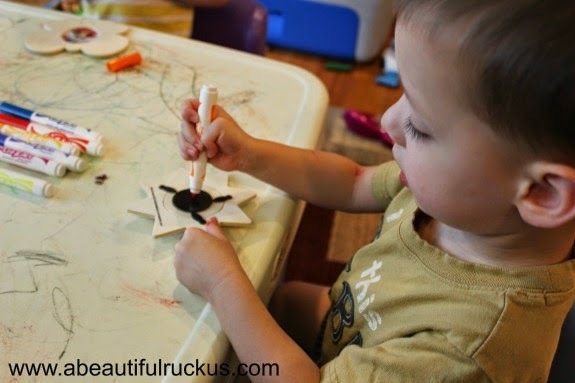 Elijah decorating his sun frame. He decided to start with the back of the frame. Caleb even participated in this craft! Normally he loses interest in about 60 seconds,but he worked on this one for awhile! Abby loves butterflies! She was so thrilled to find out that she got to decorate one! I'm wondering if she will be mad when she finds out that she doesn't get to keep it? Ellie kept talking about how she was going to give her flower to Daddy. I know she will be thrilled to hand it to him on Sunday! 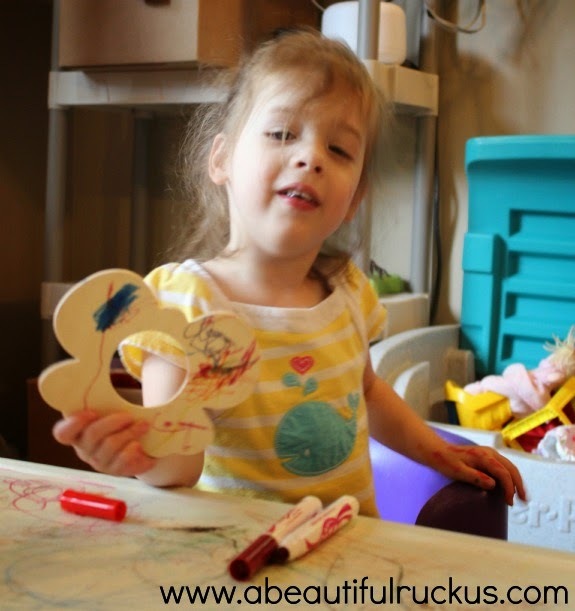 So proud of her pretty butterfly! However, half of the coloring ended up on faces and hands. My boys are so goofy! They still lick everything, and it drives me crazy! Elijah and his marker mouth and only one of Caleb's hands (the other was even more decorated). We decided to call it quits at that point. 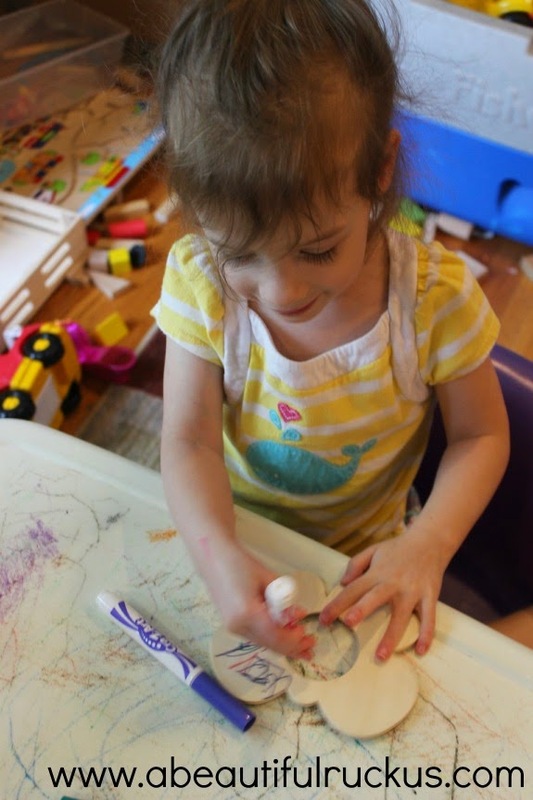 The markers were starting to travel around the living room, and I was envisioning all sorts of masterpieces in places where they shouldn't be. The kids had fun though, and I think everyone (and hopefully, Abby too) will enjoy giving their gifts on Sunday! After the kids went to bed tonight, I finished putting the craft together. This part involved scissors, so I thought maybe I'd assist with it while it was quiet. I ran photos off at CVS with two kids on each 4x6. That ended up being the perfect size to center their faces in the frame. A quick trace and cut, and they fit right into place. I highly recommend looking for the magnetic frames so that they can be displayed in different spots. I got mine at Target, but I've seen them at the dollar store too. I imagine Hobby Lobby and Michael's has them as well. 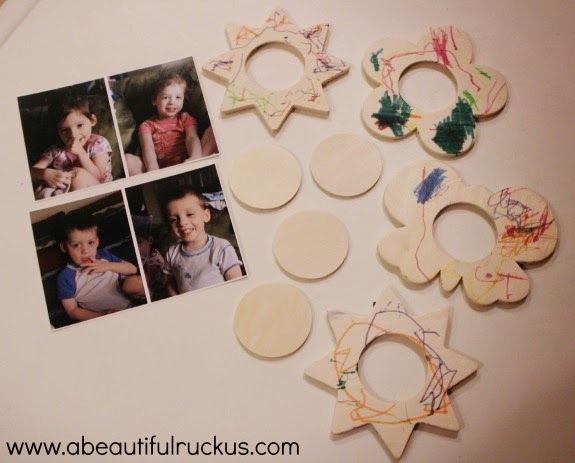 If you can't find the wooden frames with magnets on the back, you can buy little magnets to attach. It's still an inexpensive craft! We made the wooden photo frames for Daddy to display in his cube at work. He has a metal closet-ish thing by his desk and cabinets over his work area. I think they could use some cute little faces on them! 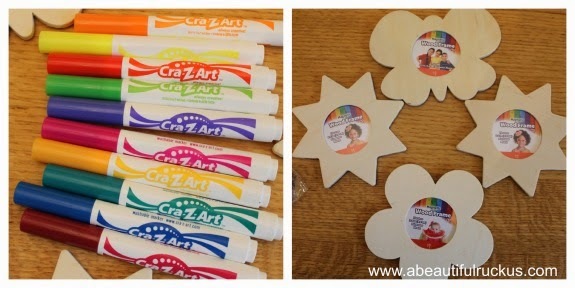 We tend to head up to Sean's office to visit every few months, so I'm sure the kids will have fun seeing their faces and creations the next time that we are up there! And hopefully they will remind him how much he is loved and appreciated all year round!